An all you can eat breakfast will be served for a free will donation at the Ashley United Methodist Church Saturday, June 13, from 8 to 10 am. The menu includes, pancakes, sausage, fruit, eggs, juice and coffee. Funds from the breakfast will benefit the Dr. Mary Kuhn Memorial Scholarship. The church’s pastor is Erin Porter. The public is invited. 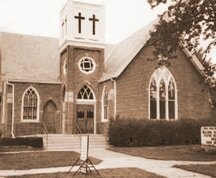 The church is located at 214 East High Street in Ashley.